The work structure and responsibilities of AQUAS are broken down into work packages and tasks. WP2 details all activities related to the use case demonstrators, including coordination and management efforts (with monthly demonstrator meetings and minutes). In total six individual demonstrators will be developed during the course of the project across five domains. For each of the demonstrators a dedicated task is introduced, which is led by the responsible industrial partner, who represents the role of the demonstrator lead. For this reason the objectives of technology providers are detailed in this WP to assist with management whilst how the objectives are implemented is the realm of WP3 and WP4. The demonstrator contributors will provide solutions to satisfy the specific requirements that are formulated in the early project phase. Each demonstrator has a coordinator for PLC activities and one who is responsible for standardization topics. The overall goal of WP3 is to develop a methodology for co-engineering and PLC that supports qualitative and especially quantitative techniques for the analysis and assessment of safety, security and performance properties, both in separate and integrated ways. 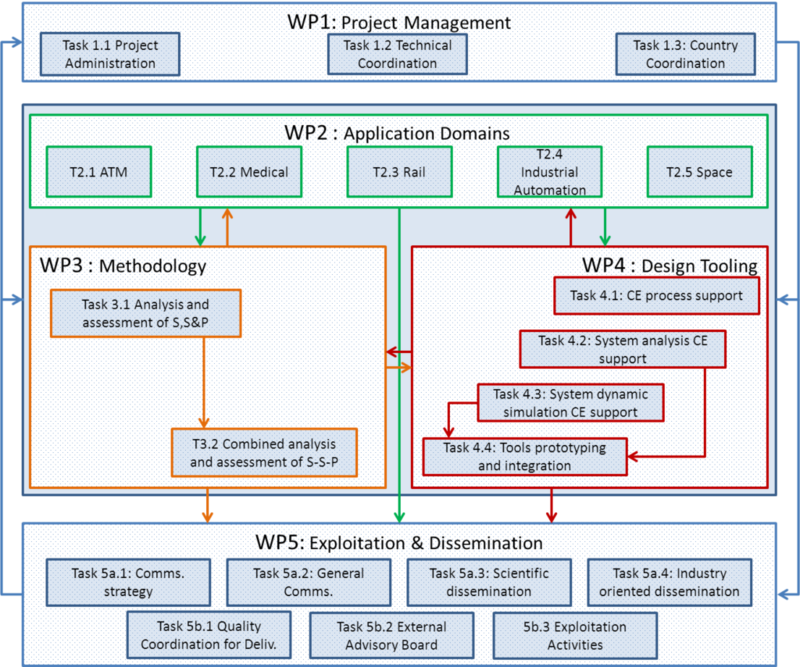 WP3 will interact with WP2 (receiving from WP2 application scenarios and their requirements on methods, and providing analysis methods and indications for combining them), collaborating with WP4 (on design tooling). 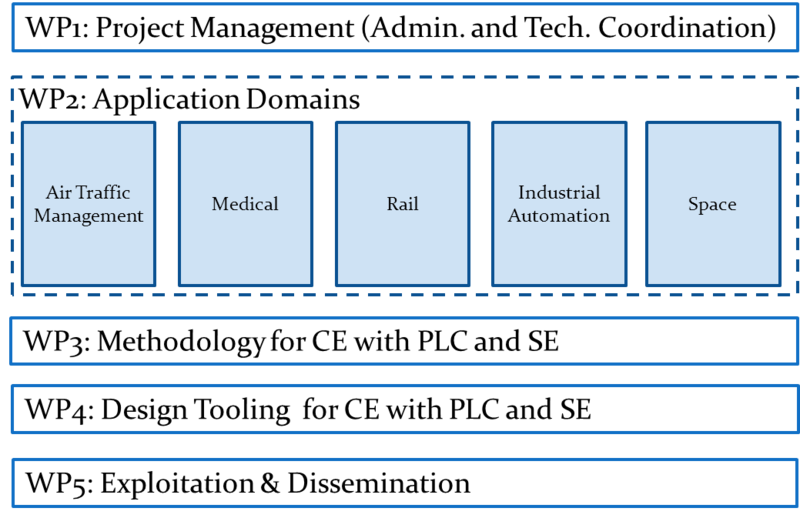 The assessment and analysis techniques will be amenable to be embedded in the approaches for co-engineering advocated by AQUAS, supporting “interaction points” that deal with the interactions and trade-offs between safety, security and performance attributes. Attention will be devoted to supporting the early steps of the design and development process; to the desirability (and difficulties) of supporting a divide-and-conquer approach to the assessment of security, safety and performance, through modular techniques for analysis and verification; to supporting sound trade-offs between these objectives; and integration of outputs from diverse assessment techniques. Specific collaboration focuses are described within tasks whereas individual partner contributions are described at the end of the work package. The overall objective of WP4 is to develop a set of tools supporting co-engineering and PLC for safety, security and performance and specifically the methodology of co-engineering using interaction points developed in WP3. The tools we expect to be developed in this work package will be derived from existing tools currently maintained and used by partners. The work will be focussed on extending the capabilities of the existing tools to support co-engineering and/or to make them interoperable with other tools so that tool-chains for co-engineering can be built and used for co-engineering on demonstrators defined in WP2. Tool interoperability supporting interaction points will be conducted on the loosely coupling premise, in order to increase the number of potential tool interactions, following the approach of the Interoperability Specification (IOS) used in CRYSTAL project. Exploitation will be given a high priority within AQUAS through a specific work package (WP5). Where dissemination has the role to raise awareness and gather interest, exploitation activities will include a readiness to respond to the interest. Global aspects are to be coordinated to maximise efficiency and impact. This includes especially development and unifying of exploitation strategies and the transfer of results to standards. Community development will also support continued use of the results, through initiatives such as PolarSys (see letter of support from Eclipse) with partners such as Thales, CEA, Tecnalia and Intecs already involved here. Extension of this platform, others such as Capella and AQUAS associated open source tools will further enhance the availability and utility of the AQUAS results.